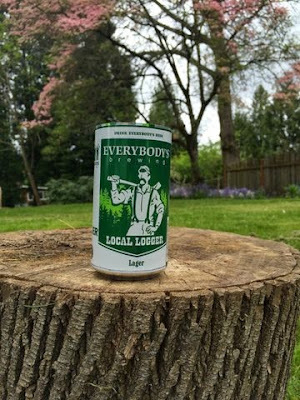 White Salmon, WA (May 12, 2015) - Everybody's Brewing will be adding a third style of beer to their can lineup with the addition of the Local Logger Lager. The cans will be available first at their Brewpub in White Salmon, WA starting May 15th, followed by the Portland premiere at Belmont Station on May 26, and a second release at Hollywood Beverage on May 29th. Traditionally known for their flagship Country Boy IPA, the Local Logger Lager has also become a standout in their lineup. “The Lager continues to show impressive growth for us”, said owner/brewmaster Doug Ellenberger. "Breweries shy away from Lagers because they take so long to make, but the extra touch they take is why I have always loved the style. We take a traditional German approach to our lager, using only Saaz hops, and a finely tuned malt bill. The result is a clean, refreshing beer. It’s an easy drinking Lager that we’re really proud of”. 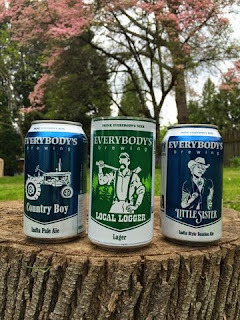 About Everybody’s Brewing: Founded 2008 in the Southwest Washington town of White Salmon, Everybody’s Brewing focuses on session style beers with full, complex flavors. Finely crafted beers, locally-sourced, delicious food, and outdoor seating with a stunning view of Mt. Hood make Everybody's Brewing a must stop attraction in the Columbia River Gorge.